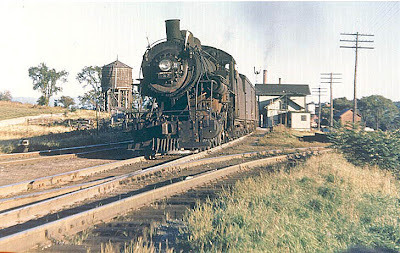 Jim Thomas deserves credit for being the first to recommend I visit Lewistown Jct., PA. I rolled into the parking lot here late one morning just before sunrise. Wow I thought.........look at the station! 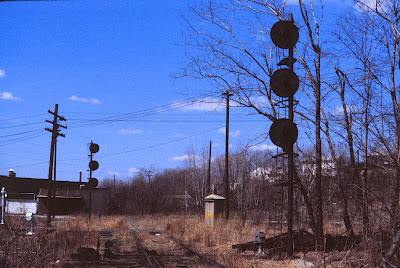 Once I was standing on the platform, Wow I thought............look how far away the tracks are! LOL! You can leave your wide angle lenses in the Civic here Gary. 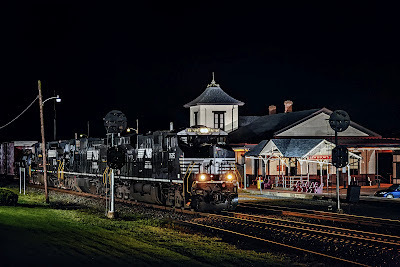 If I was fortunate enough to shoot a Heritage Unit here, I wanted to feature the engine in the photo, more than the station. Of course, this was an “if” statement! 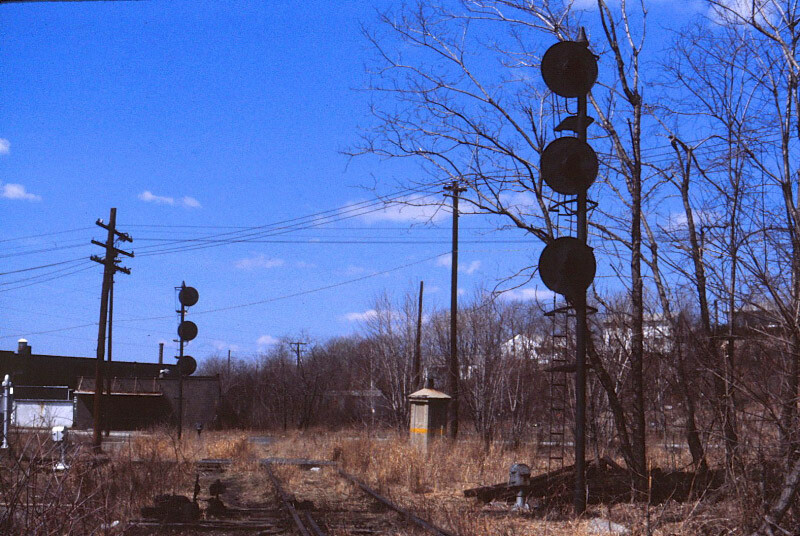 The view to the east here ends quickly as the double track main disappears into pretty much a blind curve, while the view to the west runs down a short stretch of tangent track before doing the same. As I walked the platform, I couldn’t avoid noticing the purple benches with plaques dedicating each bench to a train watcher from the area. Gawd, what a place to watch trains this must have been in the steam and early diesel days with the four track main and two tracks close to the platform that are gone in 2012. Trains would come around one curve to sweep past and disappear into the opposite curve! 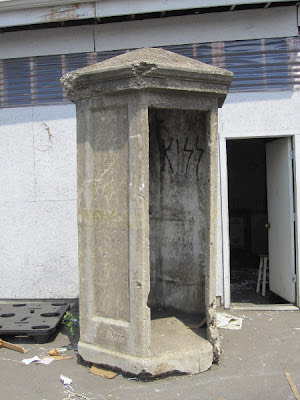 I left that morning to continue reconning the line. 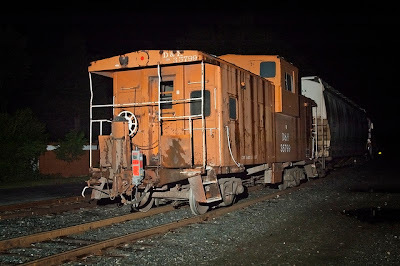 A week or more later I returned one night early, mounted the 100mm lens on the 5D and went for a walk along the far side of the tracks here. Liking this angle I set up the lights and stepladder. 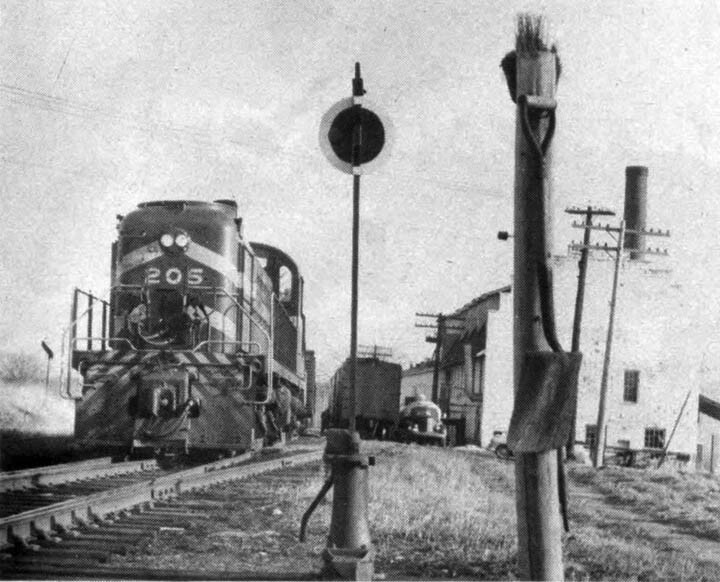 Train speed is twenty to thirty mph here, and the position light signals protect me from westbounds quietly emerging from the blind curve. Set up finally for an eastbound, westbounds start rolling by me. 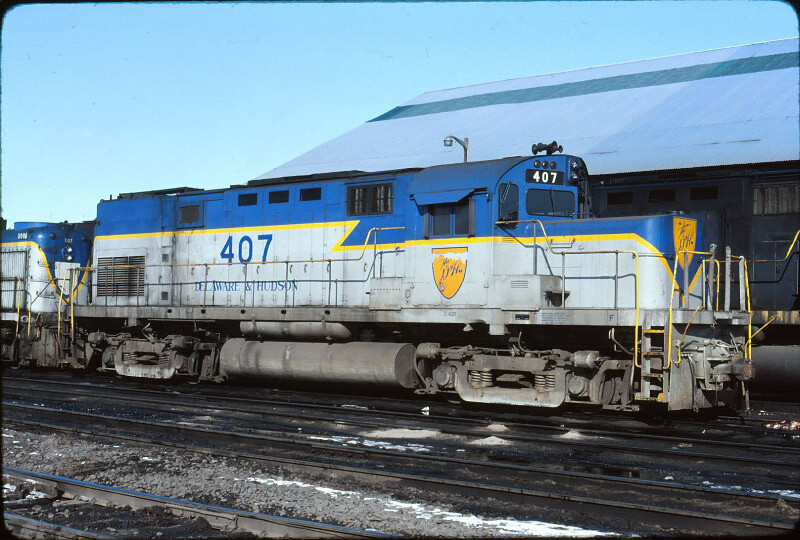 So I wait, waving to the locomotive cabs as they pass by. The crews seem to notice the light stands further away on either side of the tracks than myself next to them on the lawn! This is a good thing. The hand held scanner picks up lots of broken conversations between crews and before long an air horn is heard off to the west, advertising an eastbound approaching! By contrast, westbounds coming out of the blind curve behind me are much quieter, the nearest grade crossing further away. Thus began the passing of three eastbounds. With no Heritage Engines in the line up tonight, I am free to pick the best set of b&w power I get tonight, and the 7675 passing at 04:33 takes the prize! What a wonderful location! Special thanks to Jim Thomas! Please enjoy the view! Shot in Lewistown Jct., PA. on June 6, 2012 at 04:33 with the 5D and Zeiss ZF 100/2 lens. Comments are welcomed! Translating an idea from the prototype into a model. 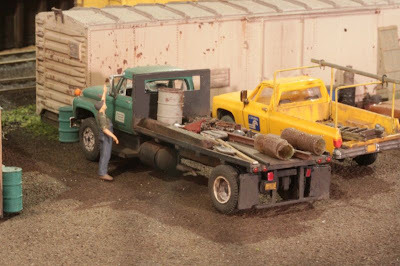 For those of you who are model railroaders this is a cheap and simple addition to your yard scene. I included a couple photos of the prototypes that got this idea started for me. The 40' steel box car resided in the D&H Hudson, PA yard. I took the slide in 1982. 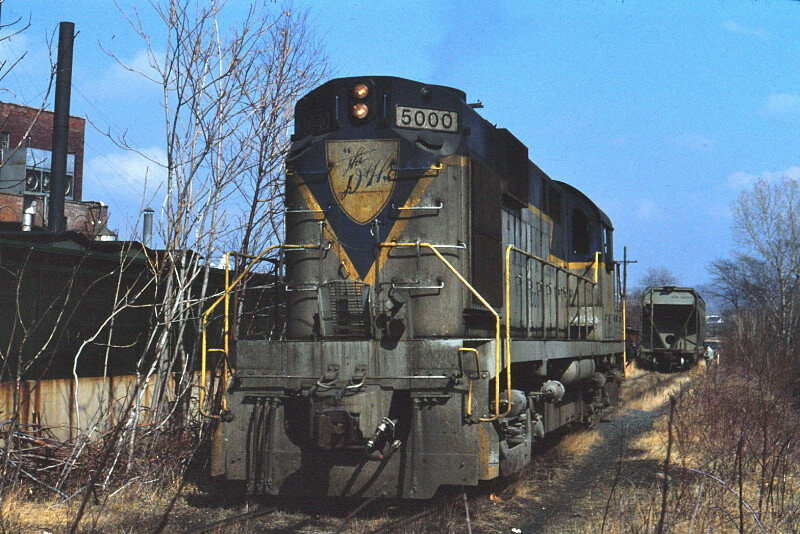 This was shortly before the yard closed and operations moved north to Taylor, PA. The model is made from an old Train Miniature kit. 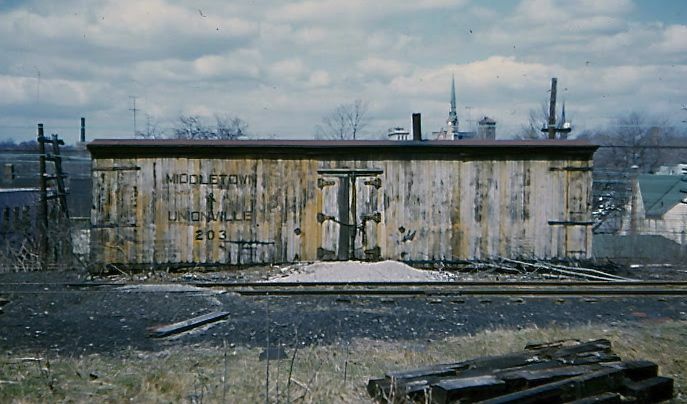 The prototype idea for my wooden car came from seeing this image of the M&U car in Middletown circa 1950. (the slide is not mine. 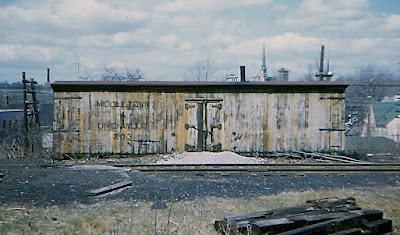 It came from a folio I recieved in an email) It resided south of the present M&NJ engine house in Middletown. 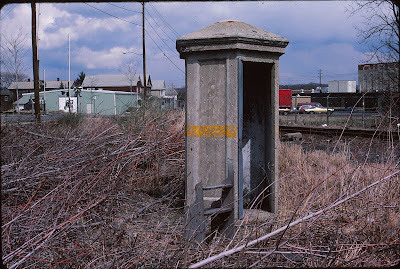 My model represents what may have appeared in a Lehigh Valley setting. I don't know the manufacturer of the model I used. I got it unboxed at a train show. I did not include cars from two eras just for show. I have a modest sized layout. To increase my enjoyment, I'm set up to change out as many as three eras in the same space. 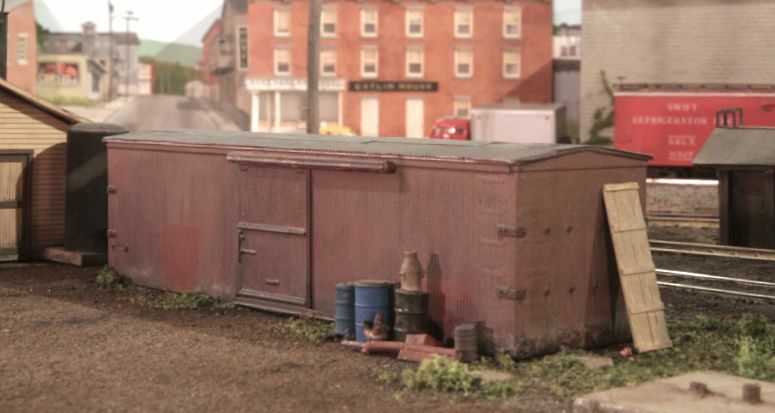 In addition to railroad equipment and vehicles I have to switch out quite a few buildings. 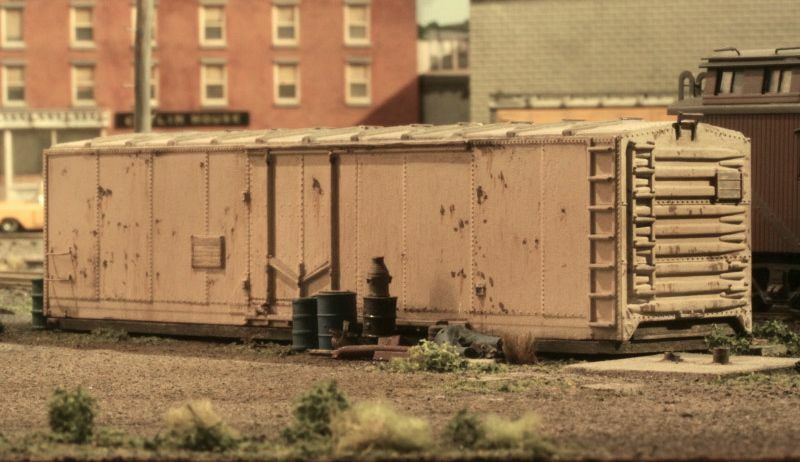 The two box cars, having the same footprint, make the change easy. Interested in the idea? As said, the re-purposed box cars or containers are simple to model. Want more of a challenge? 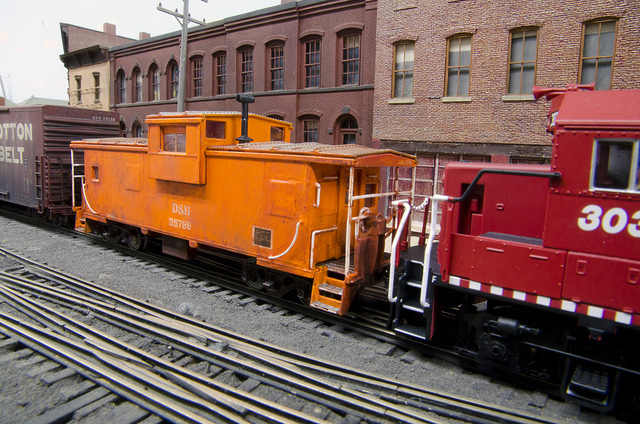 Try a model of the D&H passenger car from Oneonta that Kip Grant included in his response to Chapter 12. 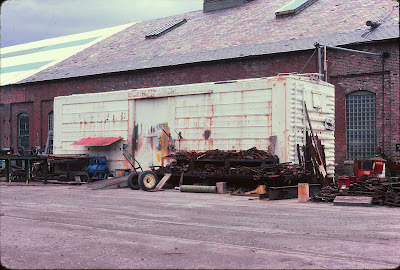 In one of the pics you can see the baskethandle arches on the side of the freight house which I have never seen before done. 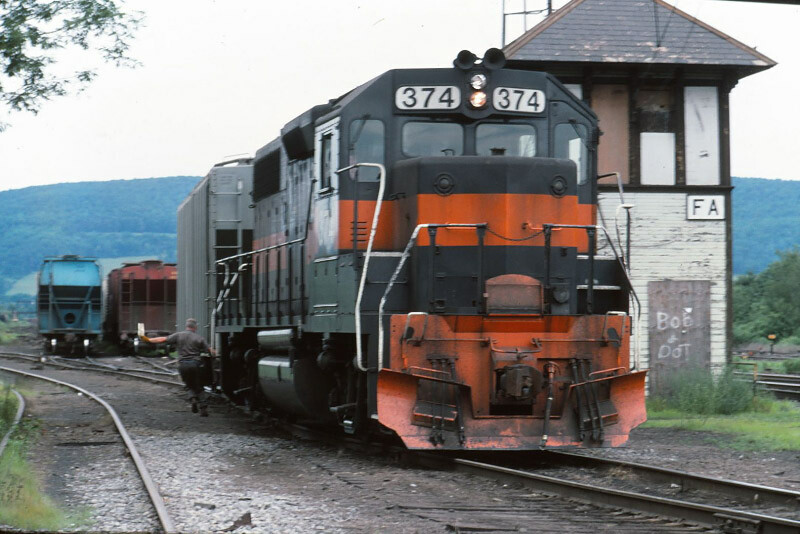 A little research suggests that 35799 started its life with the Reading and then came to the D&H right around when Conrail was formed. 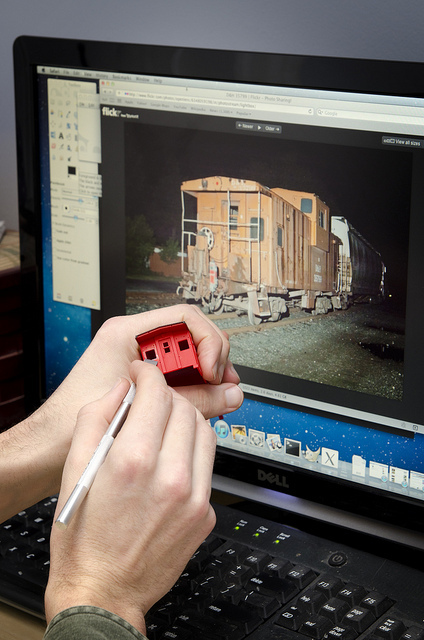 The Atlas wide vision caboose is a good match for the Reading prototype and it was available in D&H paint - great news for anyone using the caboose in the pre-guilford era. It looks like when Guilford took over the D&H, they welded over some windows and painted it orange and thats how it is today. Working from photos, I determined that all the windows needed updating. On the sides of the caboose, I cut out the windows that are welded over and moved them to the location of uncovered windows. I filled in the middle windows with styrene, and then using a drill-press cut new, smaller windows that I squared up using a file. On the ends of the car, window gaskets shaved off and covered over using thin paper to represent the sheet steel. The paper was glued on using thin CA. The windows on the ends of the cupola don't match the prototype but I left them alone. On the sides, I glued 1x4 material over the top of the window opening to represent work on the prototype. Stainless caboose steps from Plano metal products were installed over the original plastic ones - these are easy, cheap and really make the model look a lot finer than it is. I sprayed the model orange with Tamya paint -- something I wouldn't likely use in the future, but it came out OK. 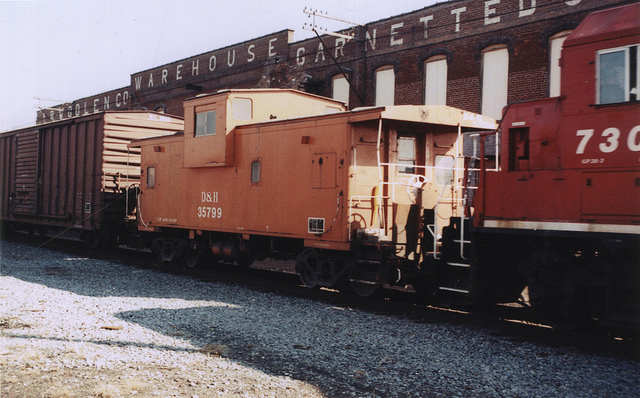 The lettering on the side of the caboose seems to match D&H lettering and I used Highball Graphics F-118 for decals. On the ends, the lettering looked more Guildford-esk - but they are so small, I stuck with the D&H lettering. 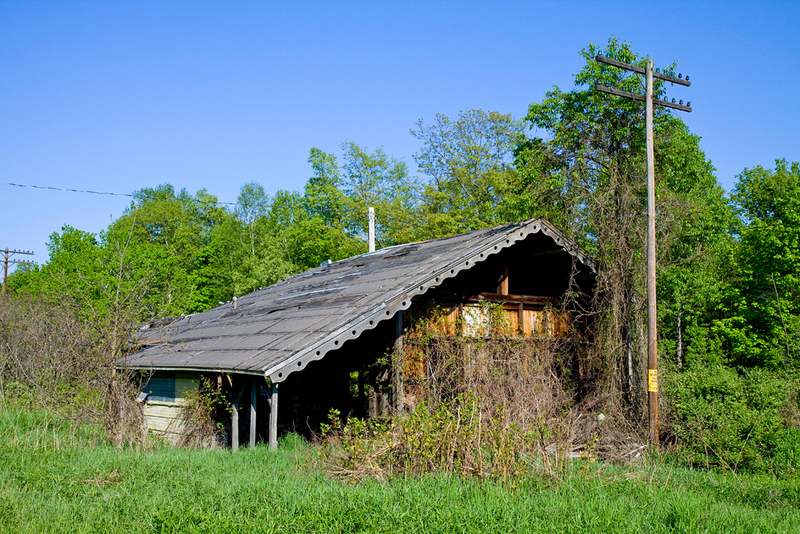 Another of the many attractive photo locations around the public campground in Brunswick, MD. 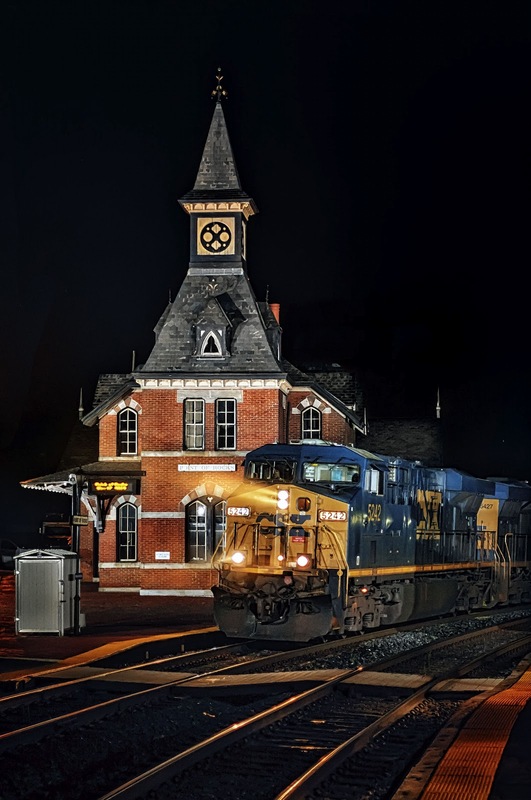 is the photogenic station at Point Of Rocks! This medium telephoto view has long been a favorite of mine here! 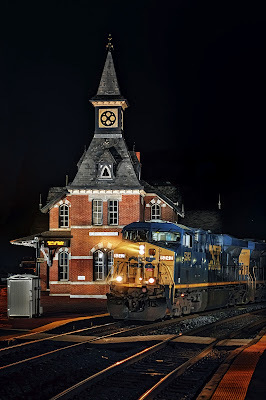 Tonight CSX 5242 is coming off the line that goes past Gaithersburg Station which we visited earlier in the trip. I remember getting dusted off by the sixty mph freights there! The freights pass through here at a much slower speed, as behind me they enter onto the double track main west to Cumberland and beyond. Out of view to the left here is the double track main to Baltimore. Let me tell you, it is something else to be standing atop the stepladder here, watching through the Mamiya 80mm as a westbound quietly (and quickly) rolls into the scene! What a backdrop to photograph a train against! Shot on May 16, 2012 at 02:27 at Point Of Rocks, MD. with the 5D and Mamiya 80/1.9 lens. Please enjoy! Comments are welcomed. A round trip from Kingston to Oneonta last weekend has had me on a D&H kick all week. 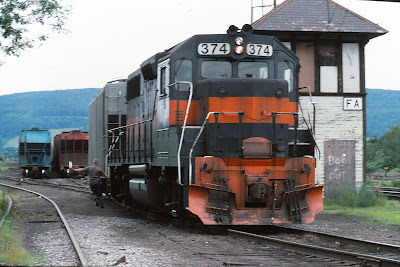 As for the trip, I was curious to see if there was much of the D&H left in Oneonta but, I was also interested in what I would find in the small towns the Ulster & Delaware passed through as well. There were lots of things that captured my attention throughout the day. When I got home I started looking through my slides, taken in Oneonta over the years, and thought an "Iceberg" chapter was possible. The problem was how to approach it. 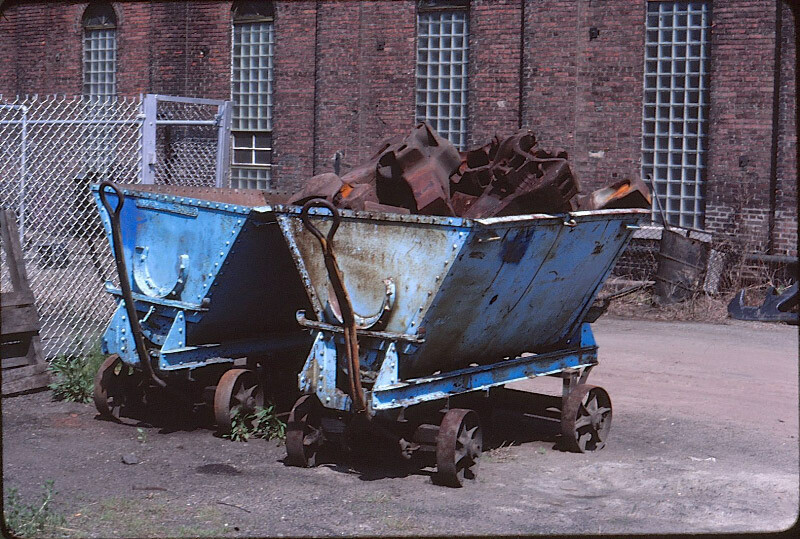 I sent out scans of slides taken before compared with present digital images to some of you during the week. How to chose from scores of images made over many years that I could send to a general audience presented me with a dilemma. I decided on my usual method of sending pictures of the things most folks didn't bother with along with the obvious. 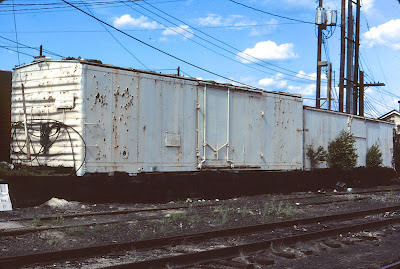 The carts with couplers (5-12-81), an ex Milw Rd box car used for stores (9-82) and the C420 #407 (3-82), were all shot within the same small area by the shops. 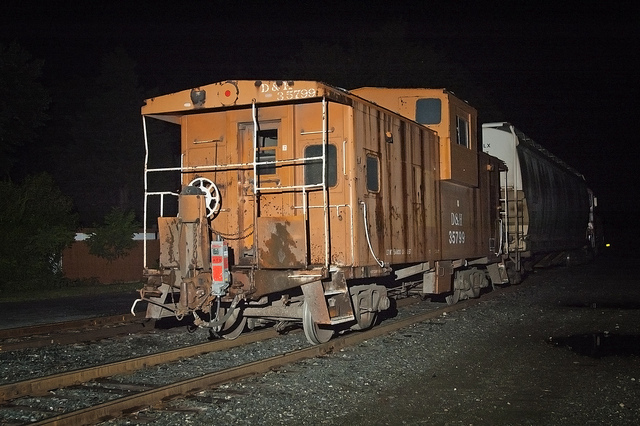 Of all the engines I took portraits of at Oneonta, why this one? I have a love affair with C420's. Low nose of course! I made many trips to Oneonta over a period of twenty years. 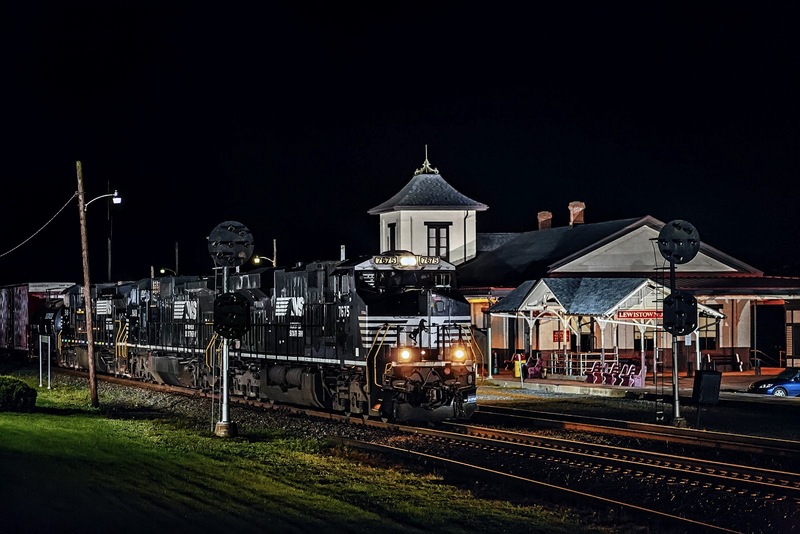 The image of Guilford #374 at FA was from my last trip. (Until last Sunday.) 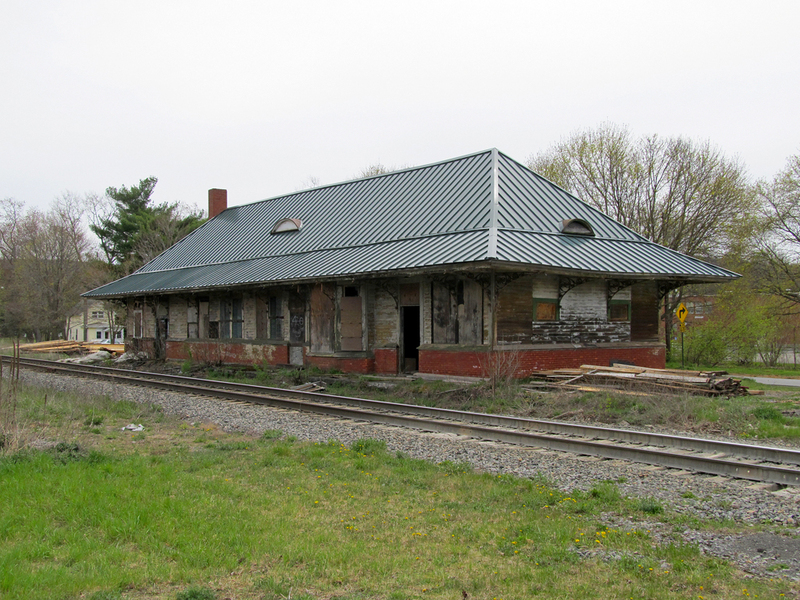 Early Guilford was interesting to me, as was early Conrail. The mix of predecessor equipment made for interesting chances to capture things that were only possible previously by making long trips. 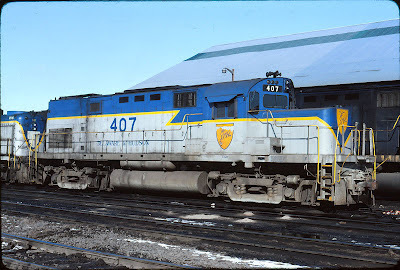 Like Conrail, as equipment was repainted the charm was lost within a few years. The purpose of the "Icebergs" is to share history. I have great shots of the PA's in interesting locations as do 100's of others. 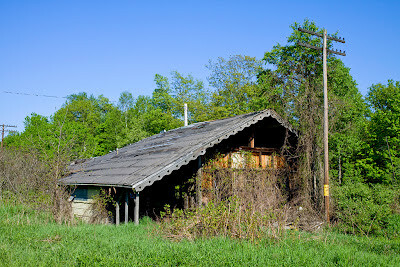 I visited Lanesboro in the last weeks of the Penn Div. and recorded things along with about 30 others that day alone. I must admit though that I haven't patience to hang around for the right train in the right location in the right light. I do ocassionally get lucky from time on site however. 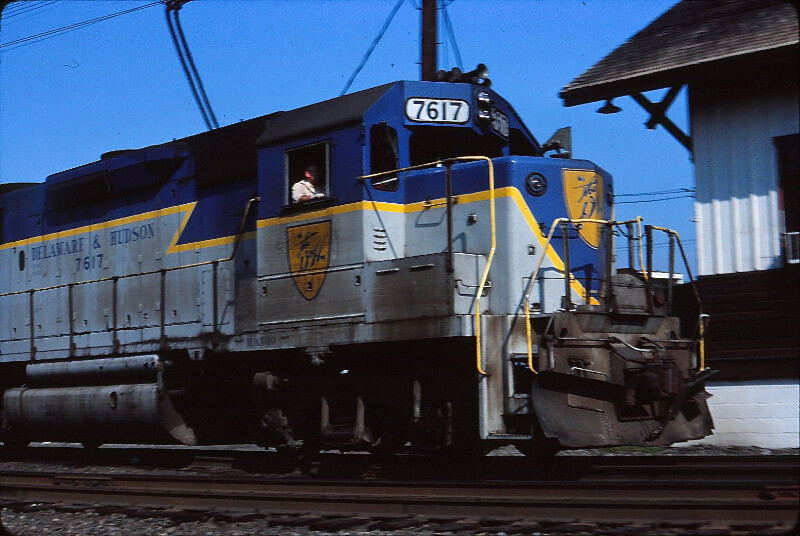 I like this shot of GP39-2 #7617 (from the original D&H order) at Hudson yard. I got it unexpectedly by just being in the right spot at the right time. 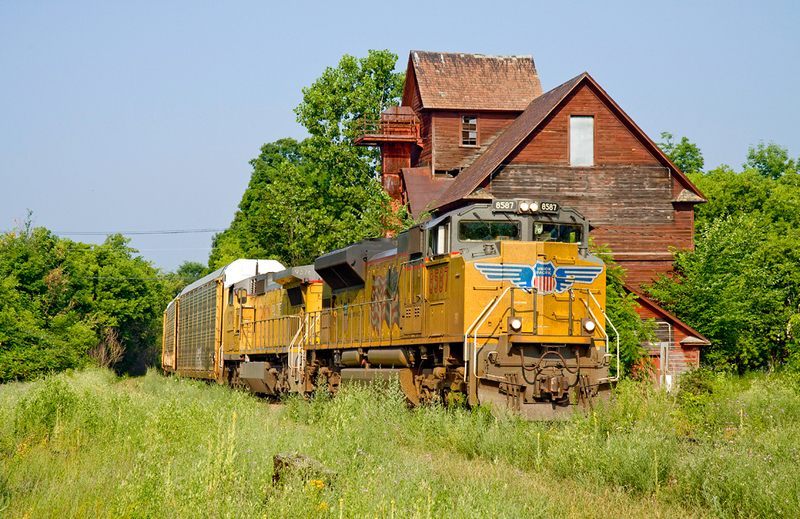 This train was moving at a brisk pace on a through run from Sunbury to Taylor. 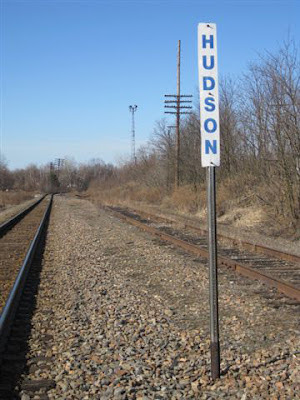 Hudson yard was a favorite hang out of mine until it was removed a couple years after I took this shot. 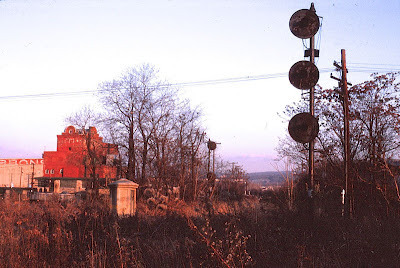 (7-2-81) Today an attuned person can tell there was once a yard there from the random pieces of anthracite that still turn up and the light towers that stand 30 years later. To this day nothing's been built on the site. What to do on a day when it's so hot I didn't even think of going out? How about an "Iceberg"? Ahhhh, I'm feeling cool already. I did catch a PRR GP 40 at the crossing (B&W) in the '68. Can't explain that move. The D&H was certainly common. In this 1982 image they're making a drop at the Gibbon's Brewery. Note the grain hopper in the distance. As it exisits 6-12 in a recycling plant on N. Pennsylvania Ave in W-B. It's only 100 yards from it's original home. 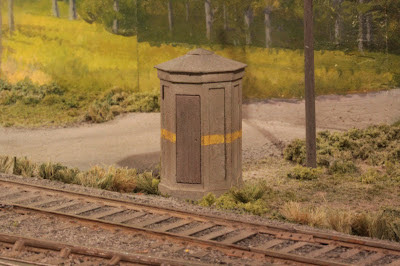 A model of one on my layout. I find myself driving up and down I-88 often. Heck I live off of it. And every time I do I always learn or see something new. Attached are some JPEGS of Stations and Railroad Related buildings that still can be found. 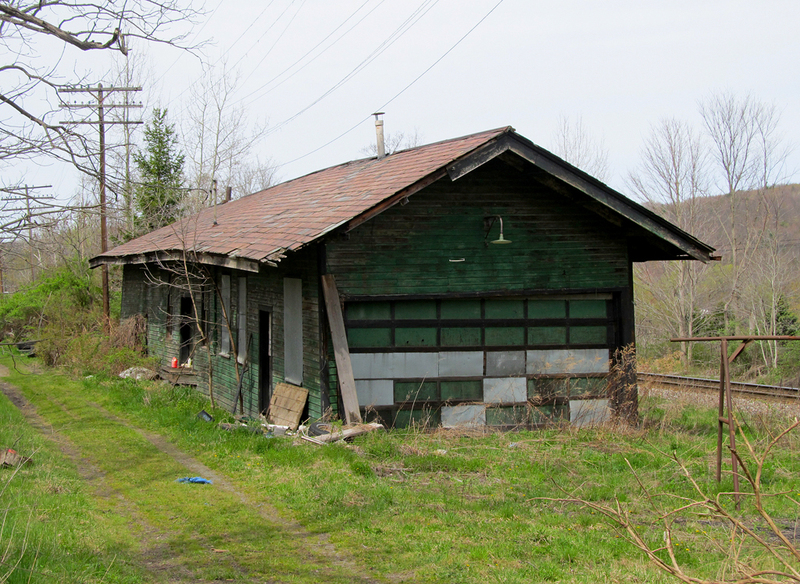 Railroad buildings along the D&H are becoming a rare species and every year more and more disappear. CP has been flushing itself system wide of anything that can be taxed and is not considered necessary. And since 2008 the pace has increased. Especially for anything built during the 1860's. You can be guaranteed that if a town located along the railroad has obsolete building located there and any increase in Property Taxes occurs it toast! 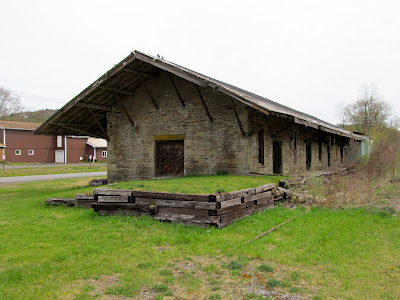 Anyways since the Unnecessary Destruction of the Central Bridge Freight House in 2008 I have started to pay more of an attention to older structures. A lot more that I did in the past as I took everything for granted. 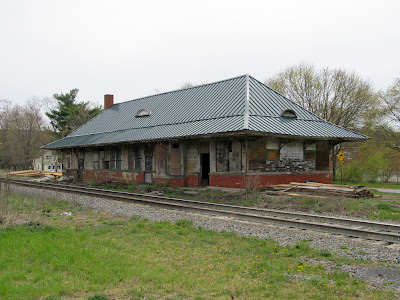 I'm still upset that CP destroyed an 1860's A&S freight house one that was very historical and still in great shape. But hey they need to save money to pay for the "Men's Club and Golf club Memberships" up in Calgary for Upper Management! Anyways most of these structures you see are privately owned. Some are in still great shape and some are not. I really love to walk around them when access permits and study there details and think about all the history these grand old structures have witnessed. From the 4-4-0 to the modern day junk wagons that CP and NS employ. To the generations who have lived around or toiled inside of them. From the Horse and Buggy to the Model T to the Chain Drive Mack A/C. From Bi-Planes, DC3's to the Modern Day Boeing and Airbus Products its amazing the changes that have occurred since they were built. 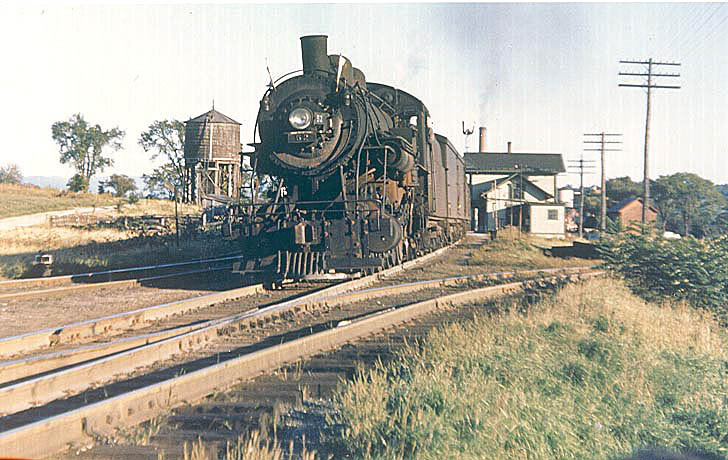 Enjoy the pics guys and if you would love to see the Historical version of these images I would recommend picking up a copy of John Taibi's new book Road, Rivers and Rails Vol #1 Oneonta to Albany. Vol #2 is coming out next year. The book is Chock full of Historical images including some of the buildings seen in this email during better times in there lives on the RR.